Although plastic pens have their place, few writing instruments compare with a metal pen. 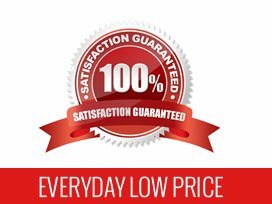 The very material suggests permanence, reliability and good taste. 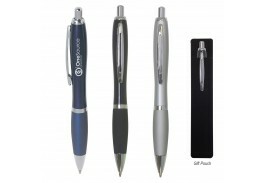 Since most businesses and organizations want to convey these same strengths to their customers and clients, custom imprinted promotional metal pens make a wonderful gift and add a touch of class to your operation. 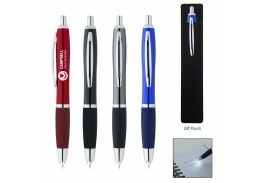 Your customers will treasure and keep these durable promotional pens, using them over and over again and seeing your unique branded imprint each time. 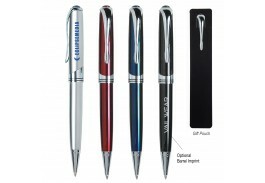 At the Promotional Pen Store, we offer custom imprint metal pens in many styles and at many price points, so you can find exactly the right personalized pen to build your brand equity in the most cost-effective way possible. 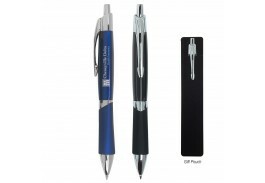 Our metal pens give you a range of style options. 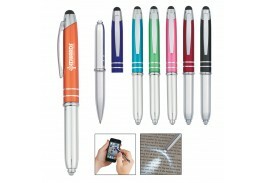 We have metal twist pens as well as metal click pens. 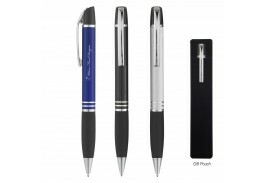 If the people you deal with tend to be digitally savvy, consider our metal pen and stylus combinations that let users safely and quickly use their smartphones, tablets and other digital devices just as easily as writing a shopping list, note or old-fashioned letter. 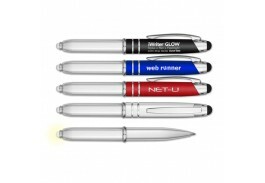 The Promotional Pen Store also offers customized metal pens and styluses that come with LED lights, which are excellent for bringing along on trips. Some of these come with their own pouches and make an extra-special gift, whether for a valued client, a hard-working employee , an outstanding student or a repeat donor or unstinting volunteer at a nonprofit organization.